Introducing a single, cross-cloud control point that consolidates multiple security and compliance capabilities into one simple platform. Delivering robust protection for your enterprise cloud operations for the cloud age. 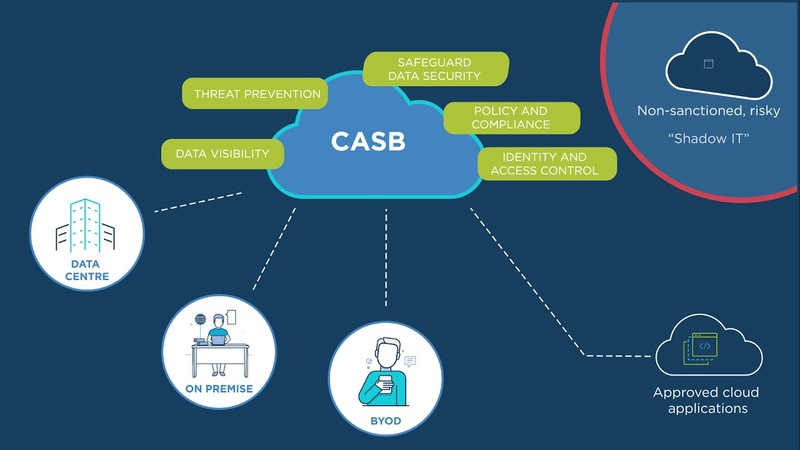 Our CASB solution provides security policy enforcement across SaaS, PaaS and IaaS cloud services. It uses machine learning algorithms for user anomaly detection and data leakage prevention, as well as configuration monitoring, tokenization, encryption, cloud risk governance, device profiling and more.